The bulls weren’t able to stay above the maximum of wave  for a long time, and as a result of it – the correction started. An overall forecast is still bullish. Most likely, the price will continue moving upwards during the next several days. As we can see at the H1 chart, the current descending movement is a part of the fourth wave. The price has passed the maximum of wave (1), however, if wave (4) is completed above this level, no rules will be broken. 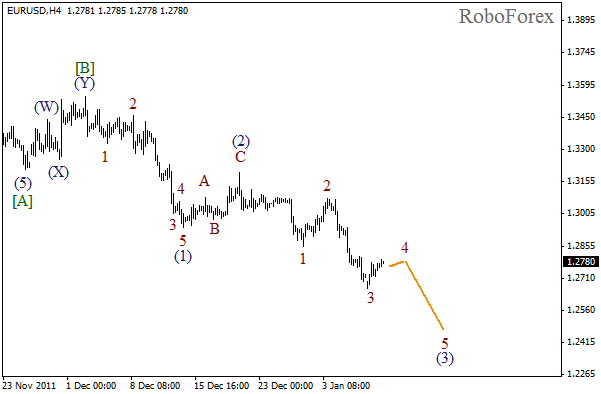 It looks like Euro is inside the fourth wave right now, and this consolidation may continue for a while. 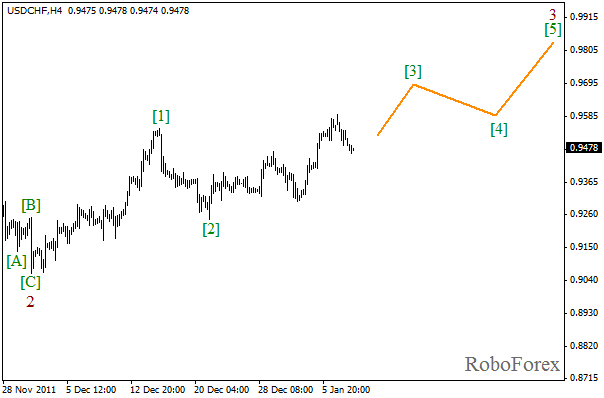 After that we can expect the price to start moving downwards again while forming wave 5 of (3). 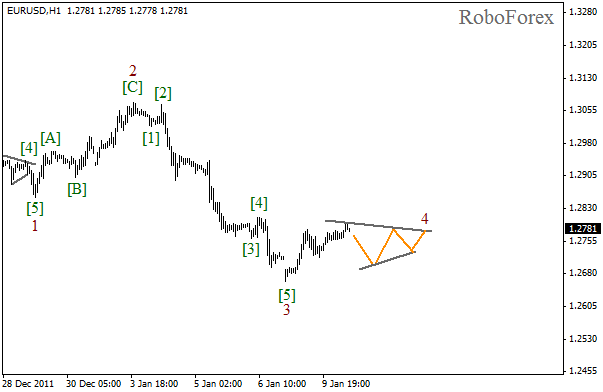 The target for the bulls is still at the level of 1.2500. 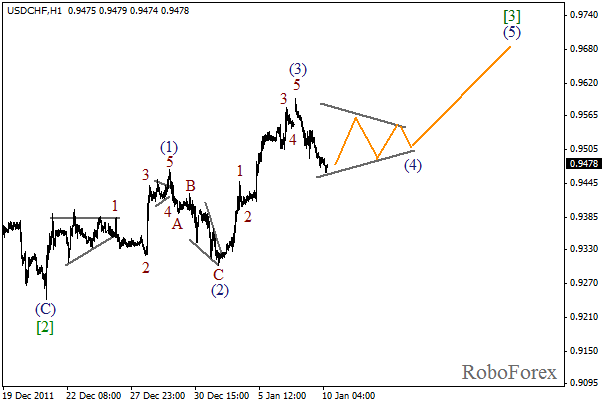 The chart structure indicates that wave 4 may take the form of horizontal triangle pattern. Most likely, the correction will continue in one form or another during the next several days. An overall forecast is still bearish.